Well-being and beauty also depend on the hair, their state of health and from the way we dedicate time to care for them daily. With the Day by Day Line, Green Light offers you the opportunity to take care of your hair every day, keeping your hair healthy and in excellent condition, as well as preserving cosmetic treatments and colouring processes for a longer period. Day by Day is the ideal continuation of the attention which the hairdresser dedicates to your hair in the salon; recommend it to your Customers, you’ll offer them the opportunity to preserve your work over time. 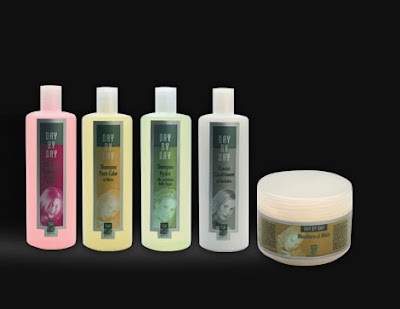 The Honey Mask and the After Colour Shampoo are particularly indicated for maintaining the colour, while the Volumising Shampoo, the Hydrating Shampoo and the Disentangling Cream nourish, protect and revitalise the hair. Day by Day is a complete line created in accordance with the Green Light philosophy that places utmost respect for nature and ecology first; that is why all the components are highly biodegradable and the containers are all recyclable. The “family size” container is also more convenient for daily use.